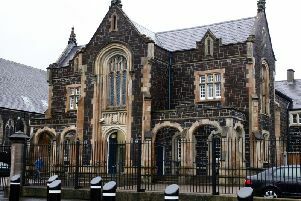 A 31-year-old man is due to appear at Coleraine Magistrates’ Court today, Friday, May 26 in relation to an incident at a house at Fairway in the Antiville estate in Larne on Wednesday night. The accused has been charged with possession of a firearm or imitation firearm with intent to cause fear or violence; possession of offensive weapon with intent to commit an indictable offence and threats to kill. A 25-year-old man who had also been arrested has been released on bail pending further enquiries.